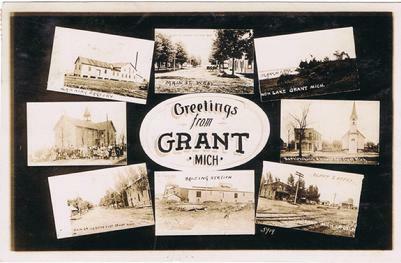 The Historical Archives of the City of Grant contains 97 years of various documents including Minutes, Public Hearings, Audits, Photographs and News Articles. These Documents are able to be browsed by decade using the links below. Most documents will contain a small description highlighting historically significant information / activities. However this feature is not designed to be an all inclusive summary and therefore does not include typical monthly operational information. Documents post 1950 are able to be searched for particular keywords such as Fire Department, Library, Community Center, Blanche Lake, etc. This function serves the purpose of providing users the ability to custom search for the information they wish to obtain. City Staff use this function to save time and city resources when inquiring about previous actions of the City Commission as it is often important to understand why a particular decision was made when revisiting an issue. These archives contains approximately 4,250 pages in approximately 1,100 different files and is intended to serve as a tool to provide great transparency but also to aid the public in historical research of our community and to show the evolution of local government in the State of Michigan.